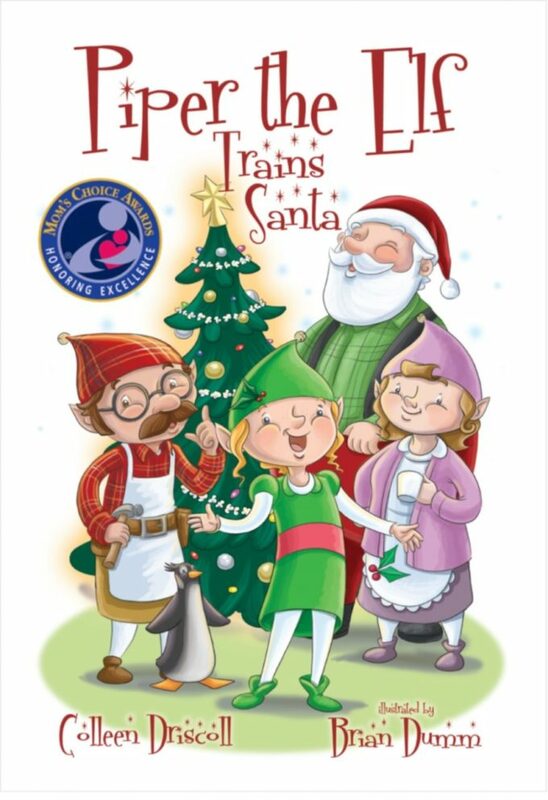 The Christmas celebration at the North Pole needs music! 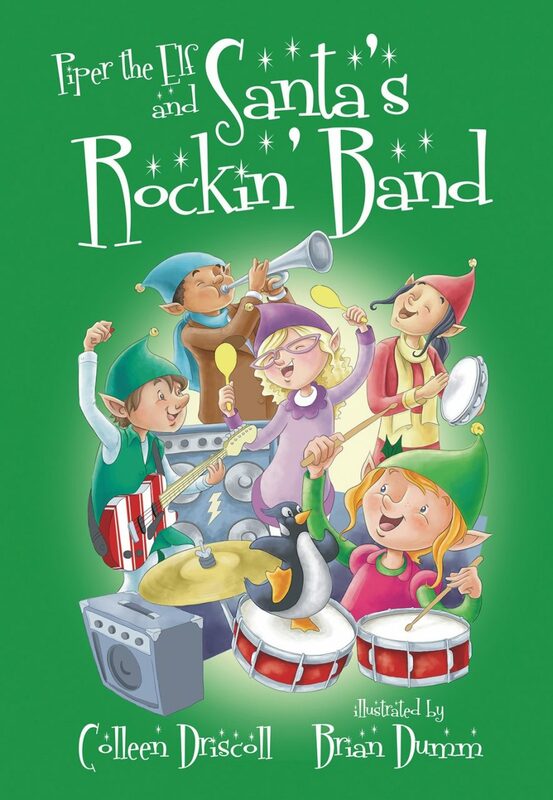 Piper puts together a Rockin’ Band of Christmas elves at the request of Santa. 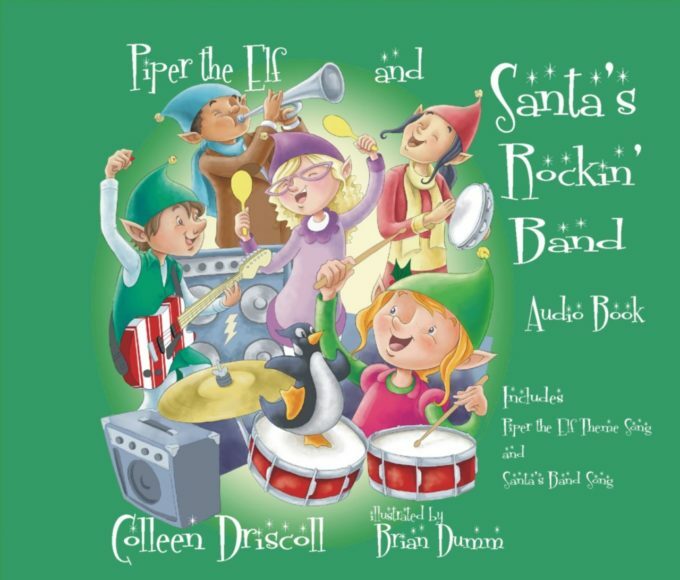 Award winning author Colleen Driscoll puts her musical talent to work in Santa’s Rockin’ Band. Parents, teachers, and kids will love the beautifully illustrated story that teaches about music, instruments, and most importantly—about getting along with others. Driscoll hits every note in her newest Piper tale! Making music is a magical experience, and Piper the Elf and Santa’s Rockin’ Band beautifully illustrates many of the integral parts of musicianship. Driscoll incorporates a rich variety of musical instruments, accurately diagnoses familiar problems in making music, and most importantly describes the universal and inclusive nature of music. As a music educator, I am ecstatic to see artfully crafted literature that supports just how important music really is in life, and that it is done in a way that everyone, big or small, can relate to in some way. 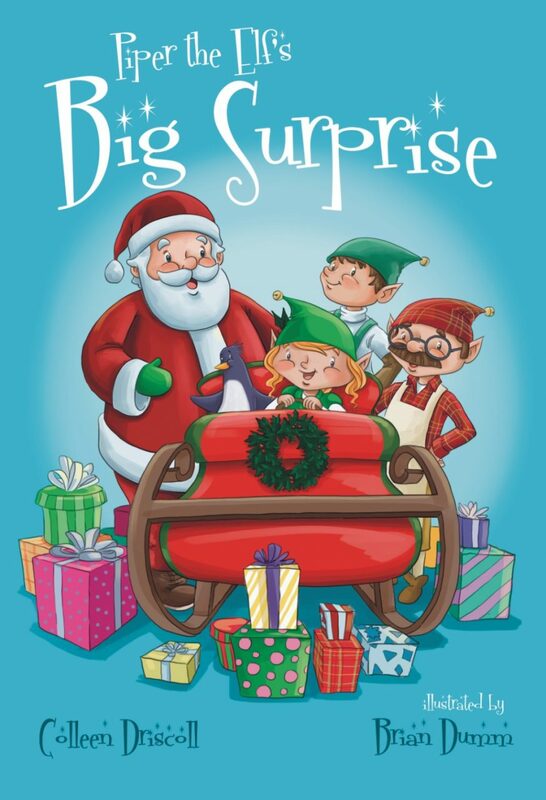 I look forward to using this book in my own classroom around the holidays—I’m positive my kids will love it! 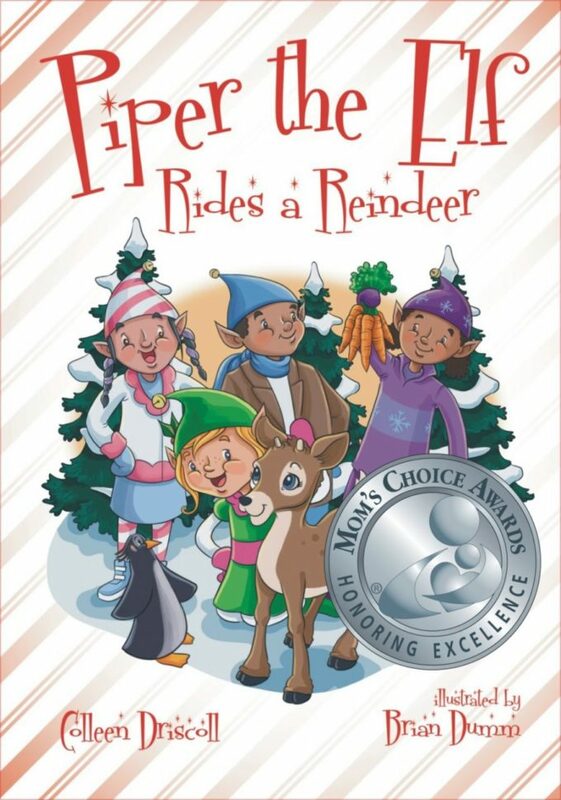 Piper the Elf and Santa’s Rockin’ Band is a captivating and original book with beautiful illustrations that will delight young readers. The musical themed story line is unique with a lovely “moral,” teaching us an important lesson that with practice and determination, anyone can be involved in and appreciate music. This is a lovely story to introduce young children to the joy of making music. It deals not only with music itself but many other valuable lessons as well. Group cooperation, hard work, and the sense of accomplishment are such valuable concepts to be instilling in young children, and I was particularly impressed with the lesson that forgiveness is far more productive than vindictiveness. 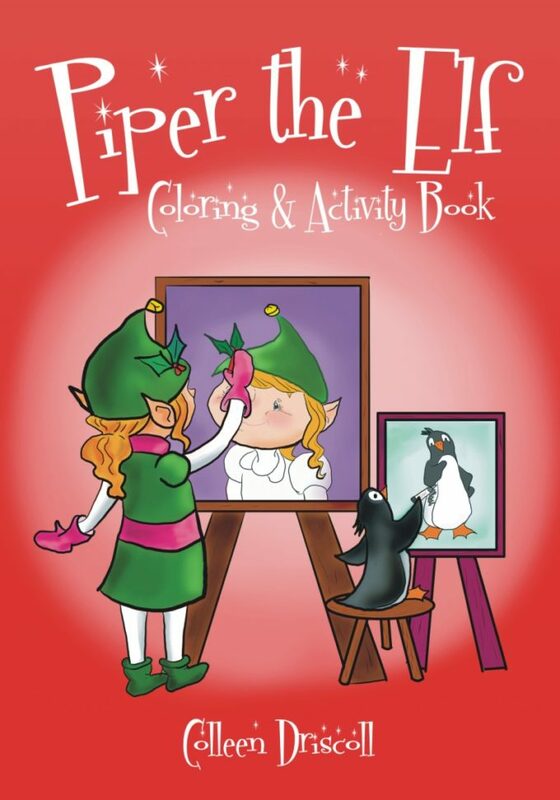 This is a very refreshing and valuable book for parents, and children should learn many lessons from it. 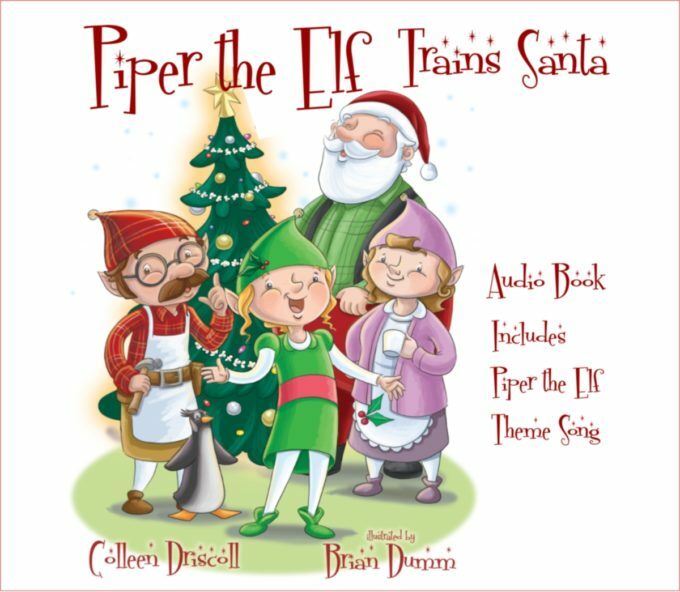 Colleen Driscoll has done a wonderful service to parents of young children, and I hope she will continue to write many more such books.